Whether Justin can make the kind of mark on Liberal hearts or Canadian history that his dad did remains to be seen. But that was neither my first nor my last brush with well-known Canadian politicos. 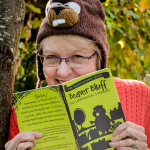 I gave the Conservatives the brush-off (or rather, they did me) when then-Prime Minister John Diefenbaker bumped my elbow while I climbed the steps of the Parliament Buildings during my Grade Eight school trip. 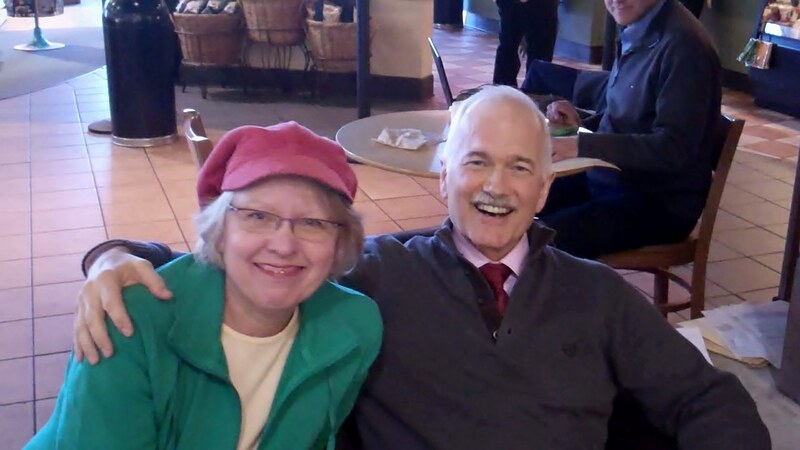 And in 2011, while working on my laptop at my local Starbucks, I glanced up and was shocked to see the NDP’s Jack Layton sitting just a few feet from me, enjoying a coffee with a woman I later learned was his sister. I approached him for a photo (opting not to mention my fling with Pierre, of course). He graciously consented. Like lots of Canadians of all political stripes, I admit I’m still carrying a torch for Jack. Sadly, we lost him a few months later. Clearly, I’ve experienced “close encounters of the political kind” with Canadian politicians of all persuasions. Which politicians have you met in person? Never mind politics. What kind of real-life impressions did they make on you? I’d love to know (in the comments below). Your neck looks pretty good to me!